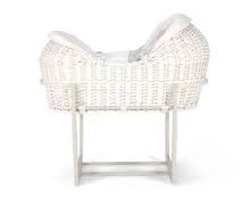 Made from beautiful wicker, this Moses basket is the ideal first sleeping environment for baby. The basket comes with a luxury cotton liner, foam mattress and hand-pleated coverlet, for added night-time comfort. Chicco Next2me side sleeping crib has been specifically designed to allow you and your baby to sleep next to each other without the need to share the same bed. The ease of attachment and assembly, plus the removable and washable lining make life easy, making the Chicco Next2me bedside crib the perfect addition to any nursery. 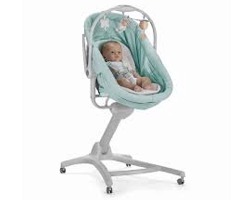 The special straps and adjustable height make the bedside crib easy to attach to any bed.